Volkswagen AG will pay nearly $15 billion to settle consumer lawsuits and government allegations stemming from its diesel emissions fraud in the United States. Although it is a huge loss for a company with a market value of $65 billion, it is not the end of the company’s legal troubles. “Today’s settlement is an important step forward but it is by no means the end. Our investigation continues,” said New York State Attorney General Eric Schneiderman, in a press conference. It is the largest auto-related class-action settlement in U.S. history but it is not the full settlement of all claims in the United States. There are also ongoing lawsuits and probes in Europe and claims from investors. So the total damage from the emissions scandal is still not clear. Volkswagen has committed to set aside $15 billion for the U.S. market to compensate consumers, mitigate damage caused to the environment, and pay penalties to the states for false and deceptive marketing. The compensation was in line with the estimate disclosed in April, so the company’s shares did not react markedly. According to the settlement, the car owners can sell their cars back to Volkswagen at the price they were worth before the emission scandal broke in September 2015. And they will get at least $5,000 on top of that. This additional compensation can go up to $10,000 depending on the model. Today’s settlement is really an unprecedented step towards getting restitution for the consumers. Alternatively, Volkswagen can modify its emission system back to the level approved by the U.S. Environmental Protection Agency (EPA). So car owners will have the option of keeping their cars. They still will receive at least $5,000 in cash compensation. 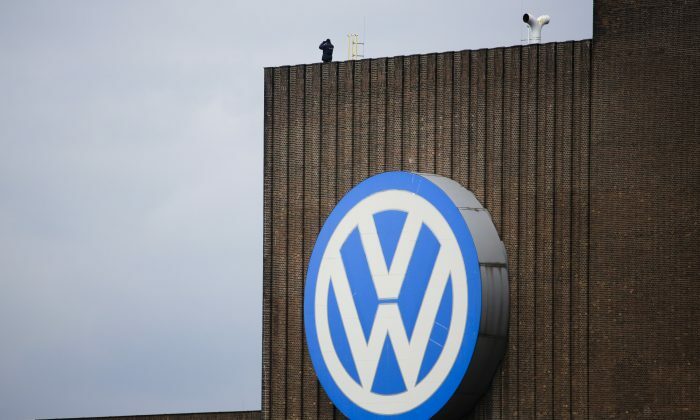 The German automaker also has to pay $2.7 billion for environmental mitigation. States will be able to spend this money for diesel engine replacement and air quality improvement programs. Approximately $117 million of these monies will be administered by the New York State. In addition, Volkswagen will invest $2 billion in the United States over the next 10 years for the development of zero-emissions (electric) vehicles and infrastructure. This is considered good news for the U.S. automotive industry. California will receive $800 million of these monies and the rest, which is $1.2 billion will be used in the rest of the country. The American settlement involves only 487,000 Volkswagen and Audi vehicles. There are also lawsuits from other parts of the world. Volkswagen recalled nearly 8.5 million vehicles in Europe. However, the company expects to pay less compensation in Europe, claiming that its diesel vehicles don’t violate the European Union’s emissions standards. Shareholders are also suing Volkswagen over disclosure issues. Several lawsuits have been filed in Germany on behalf of investors, including large pension funds such as Calpers, the Norwegian state oil fund, and Nordea, a Swedish investment fund, according to a Wall Street Journal report. Shares of Volkswagen declined more than 25 percent since the scandal erupted in September 2015. The company also suffered a record loss last year due to the provisions booked to cover the emissions scandal.